Black Friday is finally upon us, and EE has prepared something truly special this year. It may only be eight months since the Galaxy S9 launched worldwide in a flurry of critical praise (including a whopping five-stars in the T3 review) but you really wouldn't think it from the latest contract prices for the handset. Mobiles.co.uk is offering the Galaxy S9 with unlimited text messages, unlimited minutes, and 4GB of 4G data for £19 a month. We'd usually associate that monthly cost with a much older handset, or a much lesser phone. The 24-month contract runs on EE's network, so you'll benefit from the fastest network speeds in the UK. 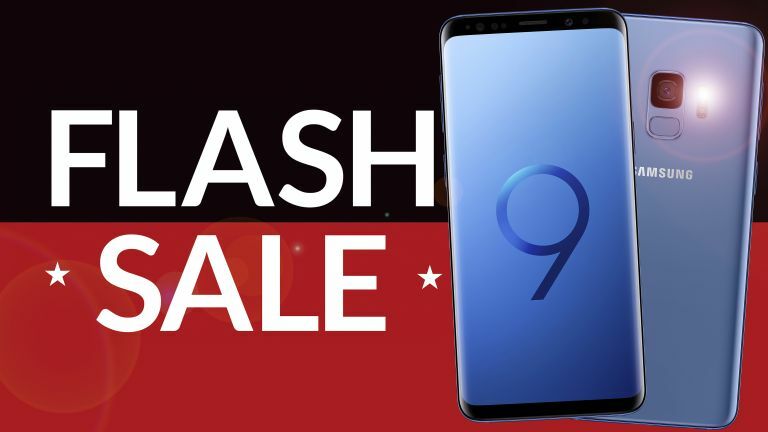 If you've been shopping around for a Galaxy S9 for a little while now, you'll know exactly how amazing this deal really is. £19 a month for unlimited texts, unlimited minutes and 4GB of 4G on EE is an unbelievable bargain. Given that most major retailers are currently selling the handset alone for £599 in their Black Friday sales, it means you'll only pay only £7 more for 2 years worth of data, texts and calls! Unmissable. For comparison, the handset alone set you back £739 SIM-free when bought directly from Samsung following its worldwide launch back in March. Admittedly, Samsung recently dropped the cost of its SIM-free to £599 as part of its own Black Friday sales. That's a sizeable discount, but really only highlights just how good the Mobiles.co.uk offer is, given that it includes two years' worth of minutes, text messages, and 4G mobile data for just £7 more. Unfortunately, there's a very slight catch. We doubt there will be a better EE deal on the Galaxy S9 than this over the next few days (Black Friday and Cyber Monday included), so don't miss out. If you're in the market for a new Galaxy S9, better add to your basket fast. If you can't stomach the £150 upfront spend, Mobiles.co.uk has another impressive deal that's definitely worth a glance, this time courtesy of Vodafone. The 24-month contract boasts 4GB of 4G data, unlimited texts and calls for £23 a month with an upfront cost of £64.99 for the handset with our discount code TECHBF5. That's the cheapest upfront cost we've seen for a contract around £23 a month.